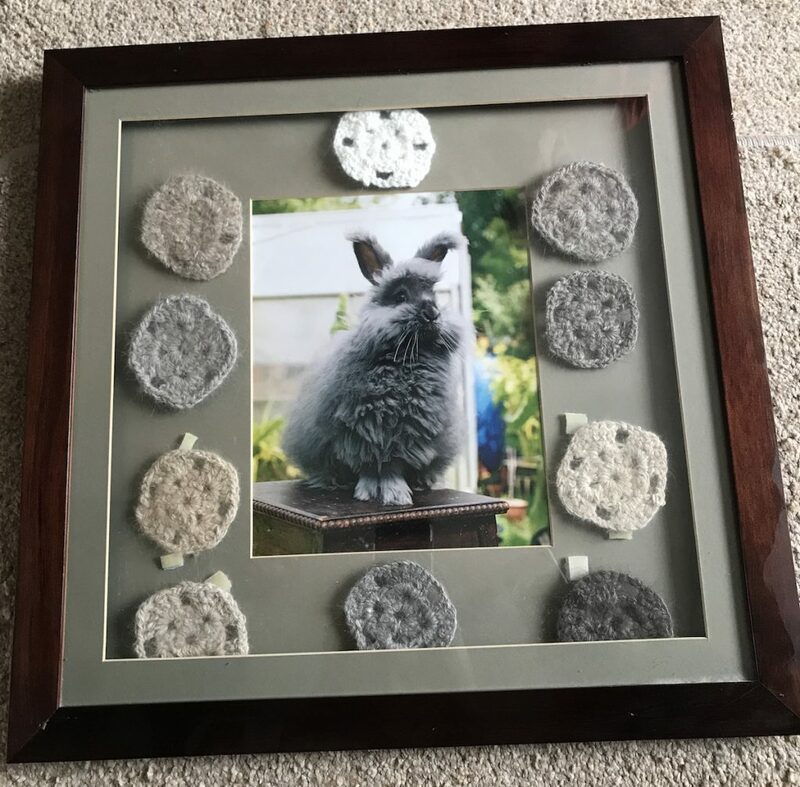 This was a celebration montage of Monty the Blue English Angora rabbit who was an award winning Angora rabbit. He is featured here with a selection of crochet squares of Angora wool in sable, lilac, golden fawn, cinnamon (left hand side), brown grey, chocolate, cream and smoke(right hand side) with white (top) and blue (bottom). Posted 05/09/2017 by LH & filed under Wool Products.